This week, we celebrate the Feast of the Archangels (Sept. 29th) and Guardian Angels (Oct. 2nd). 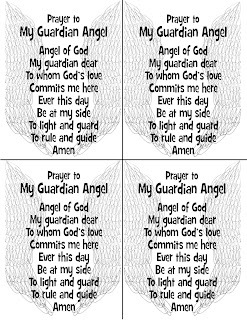 If you are looking for a way to celebrate the angels with your students, you can use these printable prayer cards to help teach them or remind them to ask the angels for help throughout the day. Do you have the other two archangels (Gabriel & Raphael) prayer cards? Hi Heather! I don't have prayer cards for them- are there universally taught prayers for those two angels? 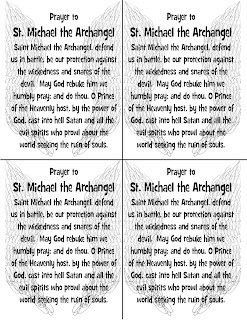 I am only familiar with the St. Michael prayer and it is part of our curriculum, hence the prayer cards for my students. Can you send me a link to the prayers you were thinking of?